A small wind tunnel is an effective way to test the aerodynamics of model planes. Building a wind tunnel can also be a fun project in itself. A small fan can be used to generate the wind. A metal heating duct forms the tunnel. To have the wind blow evenly through the tunnel, a diffuser is placed in front of the fan. This can be made from small lengths of plastic drinking straws, forming a honeycomb in front of the fan. Cut a rectangle in the side of a 4-foot length of metal heating duct with shears, 1 foot from the end of the duct, about 7 inches long and 5 inches high. Cover the rectangle with a piece of clear acetate 8 inches by 6 inches in size to make a window in the duct. Tape the edges of the acetate to the metal using duct tape. Screw a hook to the top of the duct centered to the window. Screw a second hook to the bottom of the duct directly below the first hook. These will be used to suspend any item being tested in the wind tunnel. File down the ends of the hooks protruding from the metal, or bend them using a pair of pliers, so they do not snag on anything that moves through the wind tunnel. Open a cardboard box that is at least 2 feet high and will fit over the end of the duct when put on its side. Cut 2 inches from both ends of a box of drinking straws with a table saw. Remove the covers from the ends of the box so you can see through the straws. Spread some white glue to the sides of the boxes and place them in the box. Repeat this process until the bottom of the box is lined with a honeycomb of straws. 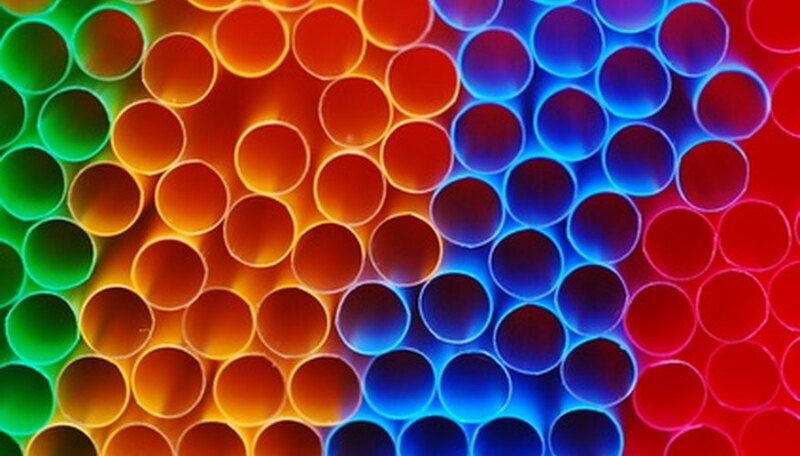 Use loose straws to fill in the gaps. Fold the top flaps of the cardboard box over the sides and tape them down using duct tape. Turn the cardboard box on its side and open the bottom of the box. Slide the bottom flaps of over the duct. Tape the box flaps to the duct using duct tape so there are no gaps for any air to escape. Place a small electric fan in the box. Alternatively, put the assembly on a table and put the head of a floor fan against the opening of the cardboard box. Tie two strings to a model plane. Hang the plane from the top hook in the wind tunnel with one string. Secure the plane in place by tying the other string to the bottom hook. Turn on the fan and begin testing your small wind tunnel.